Are you looking quality wardrobes in Bournemouth? If so, give Select Interiors a call today on 01202 821 005 and consult with our professional design team. With styles to suit all preferences and options to fit any budget, we’re sure to have the right wardrobe for you. Complete your bedroom refurbishment and see what makes us the best choice for supplying Bournemouth quality wardrobes. Nothing beats the style and elegance of an exquisite custom-built wardrobe. Whether you’re simply looking to replace your old wardrobe or treat yourself to an entirely new bedroom, make Select Interiors your go-to choice for quality wardrobes in Bournemouth. With a wide selection of colours, styles and finishes to choose from, you’ll be simply spoilt for choice. You can learn more about what makes us the finest choice for quality wardrobes Bournemouth has to offer by reading on below. How can our Bournemouth quality wardrobes specialists be of assistance? Before we can supply you with quality wardrobes in Bournemouth, we first start by consulting with you to determine exactly what it is you are looking for. Our showroom features a vast array of stunning examples and materials for you to sample. We’ll supply you with honest and impartial advice, so you receive the most exceptional quality wardrobes Bournemouth has experienced. No room is the same size, which is why we provide a FREE in-depth survey to measure the dimensions that we have to work with. 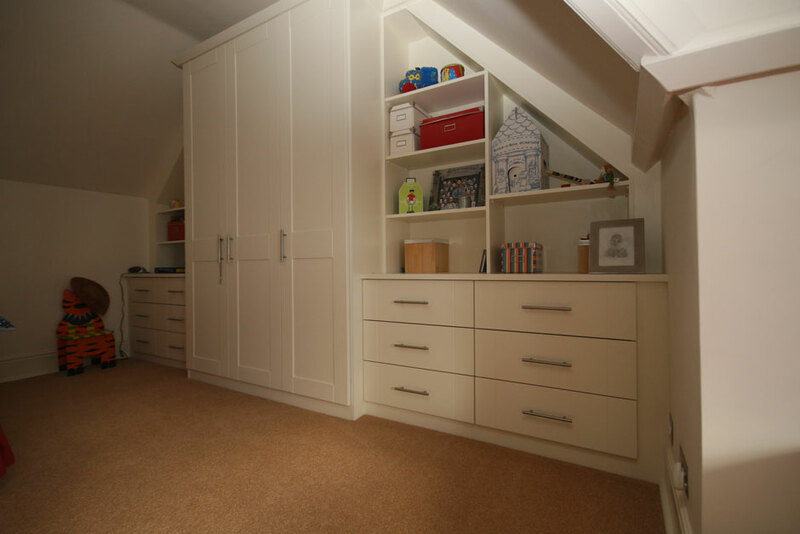 We can accommodate rooms of all shapes and sizes and even supply wardrobes to fit inside rooms with sloped ceilings. 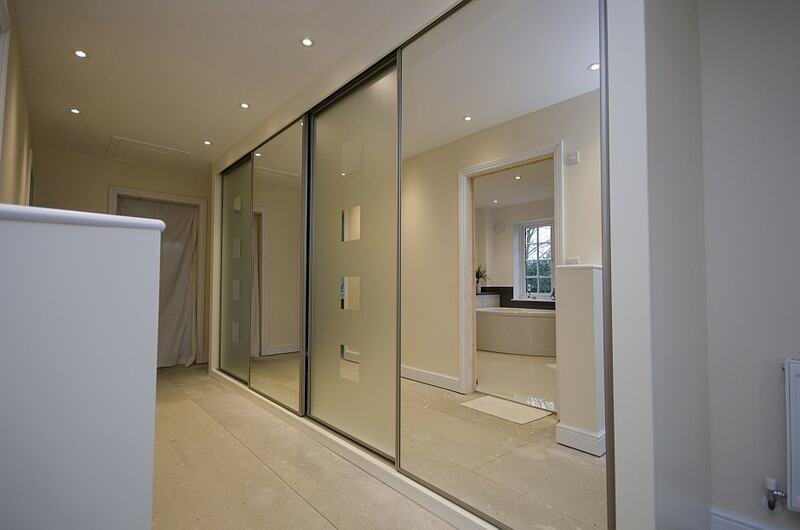 Our quality wardrobes in Bournemouth come in two varieties – hinged and sliding door. With our hinged options, you can choose from a variety of heights, widths and depths. We also supply Bournemouth quality wardrobes that integrate seamlessly into any room and with the sliding door option, won’t intrude on your floor space. To help you fully appreciate the wonder of these quality wardrobes in Bournemouth, we supply our customers with fully rendered computer generated representations of the finished design. What makes us the best choice for quality wardrobes in Bournemouth? If you’re on the lookout for the best quality wardrobes Bournemouth has seen, there is only one name that you need to remember – Select Interiors. With more than 20 years of experience to our name, we specialise in the design and manufacturing of bespoke fitted furniture. Our complete all-in-one service includes design, quotation supply and installation and we can provide Bournemouth quality wardrobes that are out of this world. I consent to Select Interiors Ltd contacting me with future updates. We also provide a supply only service for kitchens, bathrooms and bedrooms which also includes supplying Bournemouth quality wardrobes that must be seen to be believed. As a company, we’re always there for our customers and are committed to offering all of our services at the best possible prices. We also boast the shortest lead times so you can expect your quality wardrobes in Bournemouth designed, assembled and delivered in no time at all. Come down to our showroom to see some examples of our luxury fitted bedrooms. Our expert designers will be happy to help you come up with a wardrobe combination that is tailored to you and your home. See what Select Interiors can do for your bedroom by viewing our gallery. For quality wardrobes in Bournemouth, get in touch with Select Interiors today on 01202 821 005 or visit us in our showroom. Feel free to visit our factory showroom in Dorset and see where your furniture will be made. Select Interiors - Bespoke fitted furniture suppliers in Dorset.